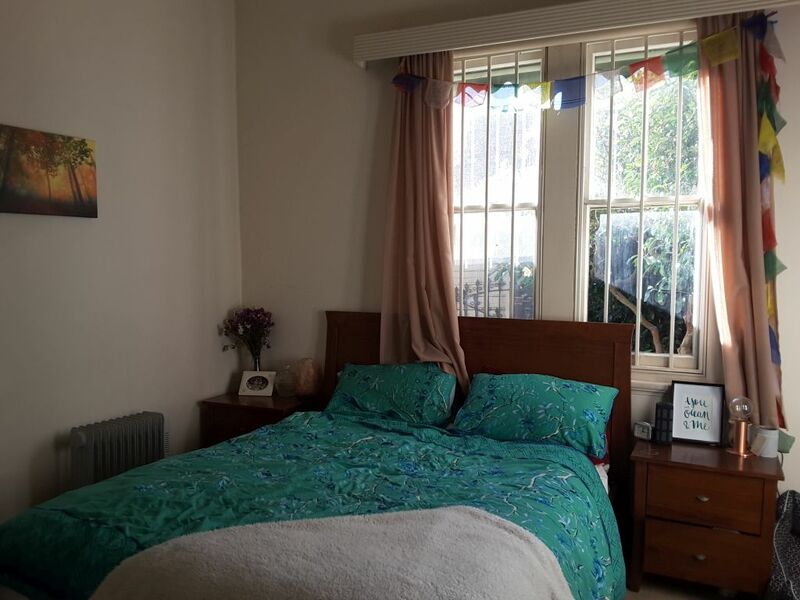 Hello dear house-seekers, we have two very nice rooms available from the 1st of August: a smaller room suitable for a single person and a huge room perfect for a couple. This ad is for the single room. You would be living with Ash and Fran plus whoever takes the other room. We are a married couple: Ash is 27, half student, half tutor and half musician . Fran is 31, half chef and half jewellery maker. So we are pretty chilled, a bit creative, we love having friends over for movie nights or boardgames. Very rarely we'll throw a big party, we usually do our partying/drinking out on the town. We keep the house fairly tidy and clean with everyone doing their share. We are lucky to have a big garden, but it comes with a bit of work too (mowing, weeding, watering). We are also slowly transitioning into having a greener abode, so we are hoping to have a veggie patch going for spring (we just need help with the compost, so if you have a green thumb, it's much appreciated). We are also making conscious efforts to minimise waste, prioritising recyclables and biodegradables. Basically we are looking for conscious, non selfish, non judgemental people with a loving heart, that knows how to communicate honestly and with respect....not asking for much right! But we do want to make a home that is very comfortable for everyone to live in. 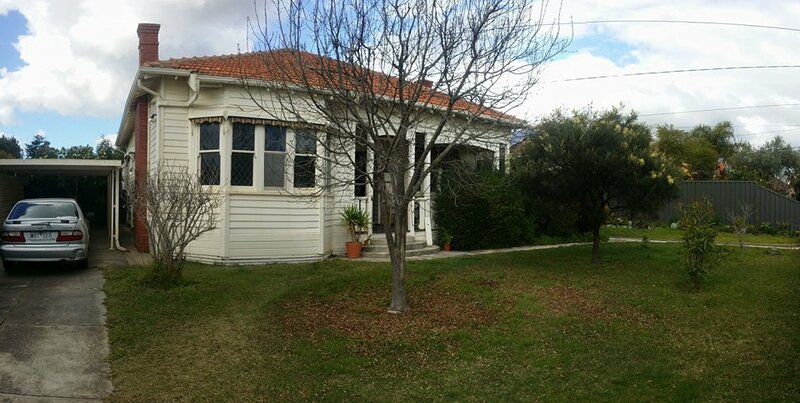 Now to the specifics: The house is in the border of Preston and Coburg. It's a lovely quiet street right next to Bell St and Gilbert Road, where you can catch the 903 and 513 buses plus the no.11 tram to the city. Also a 10 min walk to the Bell St train station or to Nicholson for the no.1 tram. There's coffee places 15 min away by foot and a Post Office and Foodworks just a block away. The Preston market, Aldi and Woolies are 2 km away. 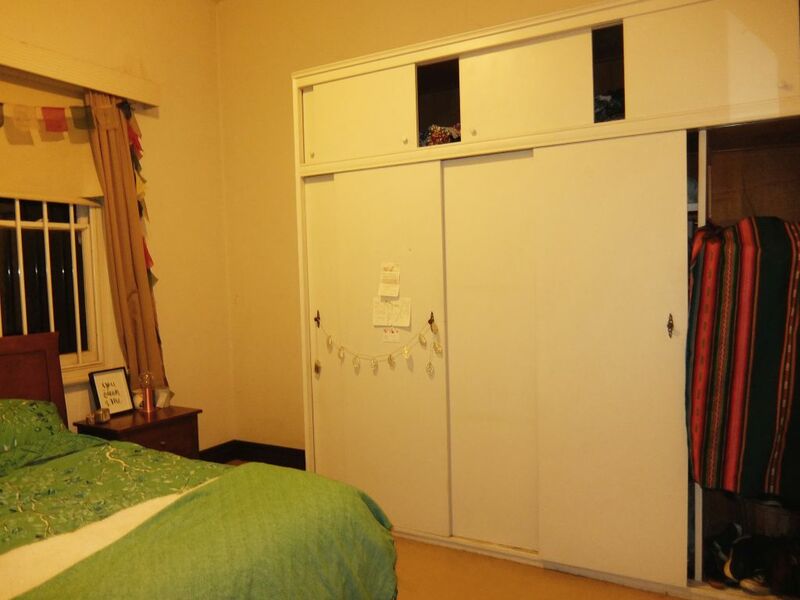 The room is not furnished, but it has a built-in wardrobe. The rest of the house has pretty much everything you need, just not much storage space at all. There's a nice lounge/dinning room with a wall heater; a medium size kitchen; a bathroom with toilet and bathtub inside; an extra toilet outside; a big bungalow that we all share as office, study room, hangout space, workshop, whatever it needs to be. Plenty of parking space. We cook meat infrequently; Smoking is fine outside; and sadly we can't take pets. The room is $590 a month plus a $665 bond. You must also go on the lease. If you are interested please send us a message with a little or a lot of info about yourself, and your ideal abode. Thank you!! !